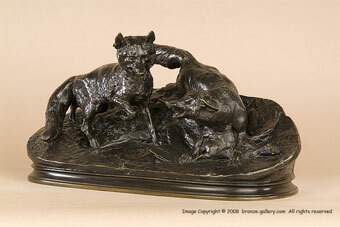 Mene did several small sculptures of Foxes which often turn up on the market but this larger bronze of a pair of Foxes quarreling over a dead Pheasant is a rare model. It was created in the mid 19th century and is an interesting composition which captures one Fox crouching over the Pheasant and warning the approaching Fox to stay away from his dinner. 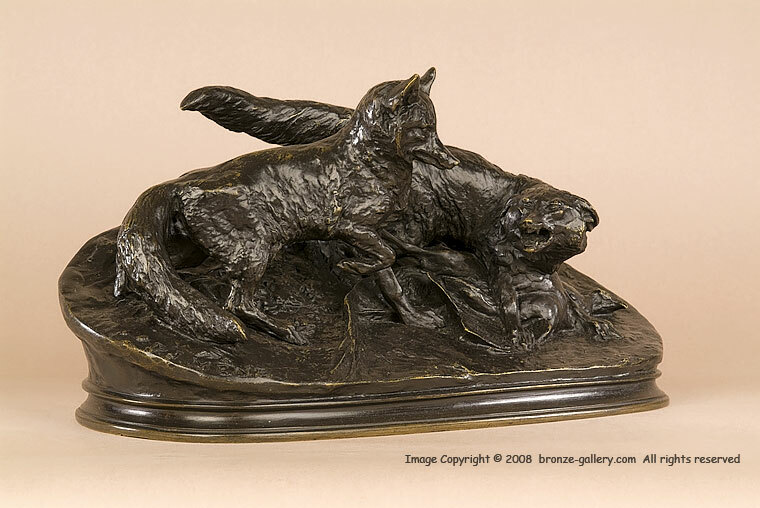 The other Fox has paused, with one paw raised, as he looks at the dead bird hungrily. Mene's animals are always true to life and this is one of his better works. A fine large bronze, it has sharp details and a rich black and dark brown patina.